Heavy rains pounded New Canaan on Friday, 9/28/12. 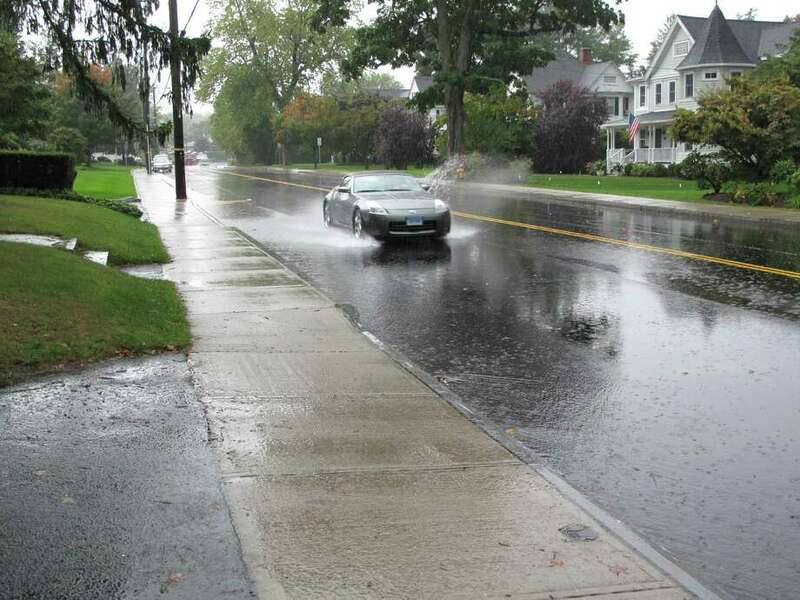 Streets throughout southwestern Connecticut are being flooded as the region gets pounded with a round of heavy rain -- the first sign of what's expected to be a wet weekend. The rain is expected to let up only slightly during the latter half of the day, according to WTNH meteorologist Erika Martin. Temperatures will peak in the high 60s. The rain grew more intense in most areas around 11 a.m. and is expected to stay strong for several hours. Darien isn't experiencing any power outages, according to CL&P. Martin says that another low pressure system is expected to roll through the region on Saturday, bringing with it more rain. More scattered showers may be on the way on Sunday and Monday.